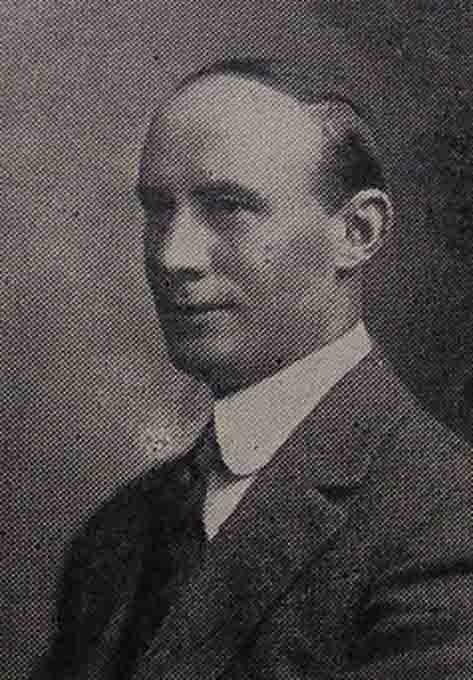 Lieutenant-Colonel Arthur Vivian, Deeble, former teacher (1910-1911) at Mt. Duneed State School, embarked as a Major with the 8th Light Horse Regiment on the transport Star of Victoria on the 25th of February, 1915. After serving in Egypt for some time, he proceeded to Gallipoli with his unit on the 16th of May. He commanded the second wave of the famous charge on Walker’s Ridge on the 7th of August, 1915 and was promoted on that day to the rank of Lieutenant-Colonel and to command his regiment. On the 13th of September, he was admitted to hospital sick, and invalided to England. He was appointed to command No. 2 Command Depot in England on the 21st of June, 1916. On the 14th of March, 1917, he was appointed to the command of the 69th Battalion, which he organized and trained until its dissolution in September, 1917. On the 23rd of October, 1917, he proceeded to France, and was given command of the 48th Battalion. On the 28th of March, 1918, he returned to England on duty. He returned to Australia in charge of troops on the transport Gaika on the 5th of July, and was discharged on the 22nd of the same month. Prior to enlisting he was teaching at the Essendon High School. After returning home from the war Charles headed for Berwick where he worked as a farmer. He died there in 1940. George, was born at Mt Duneed and attended Mt Duneed State School before completing his education at Theological Hall, Ormond College, Melbourne. Prior to enlisting he had been a Presbyterian clergyman at Boort, his first ministry, for four years. 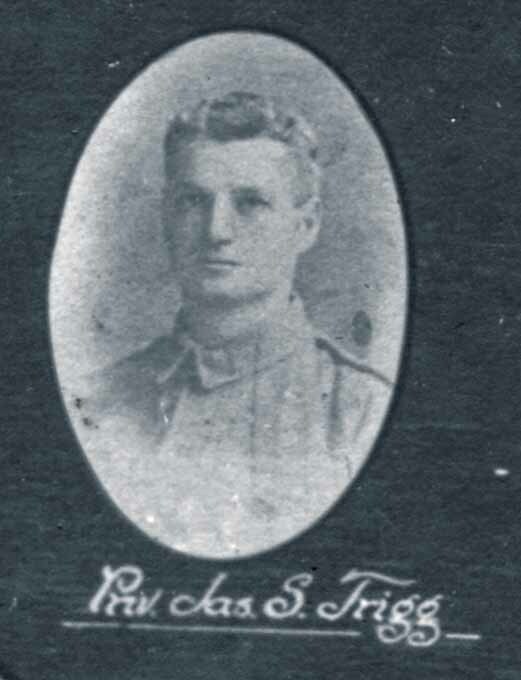 He joined the AIF at the rank of Private on 8 January 1915 having had 3 years’ experience at the Rifle Club. 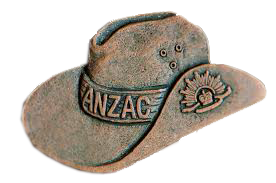 He was attached to the 14th Battalion, 6th Reinforcements and trained at the Broadmeadows camp during which time he was promoted to Acting Corporal. The unit embarked from Melbourne aboard HMAT A62 Wandilla on 17 June 1915 bound for Egypt then the Gallipoli Peninsula joining the rest of the battalion at Reserve Gully on 2 August. By this time the 14th Battalion had become known as “Jacka’s Mob” – being led by Albert Jacka (Modewarre birth place and first Victoria Cross recipient). They spent the next few days preparing for the next offensive which was to become known as the Battle of Lone Pine. As well as supplies and sharpening of bayonets the troops were ordered to wear white bands on both arms and a white patch on their backs near right shoulder as distinguishing marks. Four days later the offensive started and the 14th Battalion moved with difficulty off the hill and down the gully to Beach Road. There were some casualties during the move. On 8 August, the 14th Battalion moved out in single file in the rear of the 15th Battalion and crossed Kaiajik Dere and then deployed in lines across the ridge in the attack of Hill 971 as part of the Lone Pine offensive. An advance was made under heavy rifle and machine gun fire consequently there were many causalities. George was one of 128 men who were missing from the 14th Battalion as a result of this offensive. 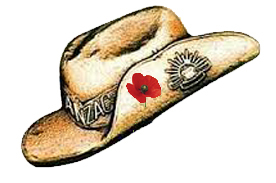 The hill was taken at great cost, although Turkish reinforcements forced the Australians to withdraw. Five days later 6 men rejoined the unit, one of which may have been George as he did make it back to his unit some time before the next big offensive. During the attack on Hill 60 on 27 August George was in the fighting line. His service record indicates he was wounded in the back, arm and foot subsequently admitted to hospital in Alexandria on 30 August. Five days later he succumbed to the wounds he received in action and was buried at Chatby War Memorial Cemetery, Alexandria. Five months after marching into France, Richard was wounded accidentally whilst attending Lewis Gun Class. This gun shot wound to the right thigh saw him shipped home and discharged. He appears to have returned to farm at Mt. Duneed, married Nellie Smith in 1919 and by 1924 he had moved to Bruswick working as a labourer. They lived there for many years and had three children. In 1971 Richard died at his home in Monbulk. After serving three years in the AIF James returned home to Werrap in the Wimmera where he worked as a labourer before enlisting. He married Maud Duffield in 1919. By 1924 they were living at Swan Marsh near Cobden, James was a farmer. Maud died in 1925 and in 1930 James married her sister Lilian Duffield. They lived in Moonee Ponds, James working as a council employee until his death in 1955. He served at the Training Depot for three weeks before a gun accidentally discharged blowing off his left little toe. The injury caused him to be discharged.